As much as I love pie, I have a soft spot for handheld pies. They’re easier to serve, far more portable, and, well, much more adorable. 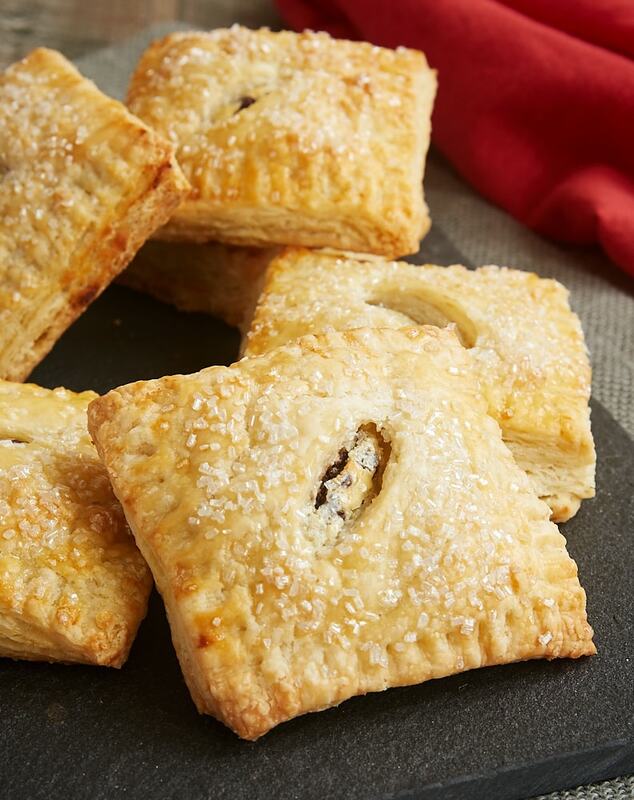 These little pies are filled with a super simple filling made mainly of sweetened cream cheese and chocolate chips. It’s like having a little bit of cheesecake and a little bit of pie all at the same time! If you’re a big fan of pie crust, then you’ll like the high crust to filling ratio of these pies. You’ll get two layers of crust around that sweet filling. I used my standard butter pie crust to make these pies. 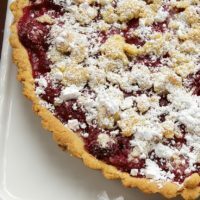 (You can certainly substitute your favorite recipe for a double 9-inch pie crust.) I added just a bit more sugar than usual to make the pies a little sweeter. As you can see, I made these pies square. They’re roughly 3 inches square for a nicely sized portion. You can, of course, make them in a different shape or size. Just keep in mind that making a change will alter the yield. 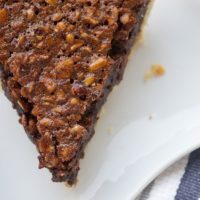 Be sure to adjust the amount of filling per pie, also, if you alter the shape or size. My one bit of warning for making these pies is not to overfill them. If they have so much filling that they don’t seal well, they won’t hold together. It is far better to have a little leftover filling than have a baking pan covered in a whole lot of filling that leaked out of the pies. In the spirit of full disclosure, I must say that making hand pies can be more labor intensive than making a standard pie. But my love for these little pies makes it worth every minute of kitchen time. 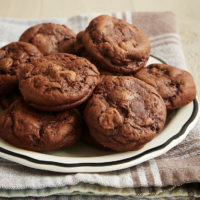 One bite of the light, flaky crust plus that sweet, chocolate-y filling will have you sold, too! 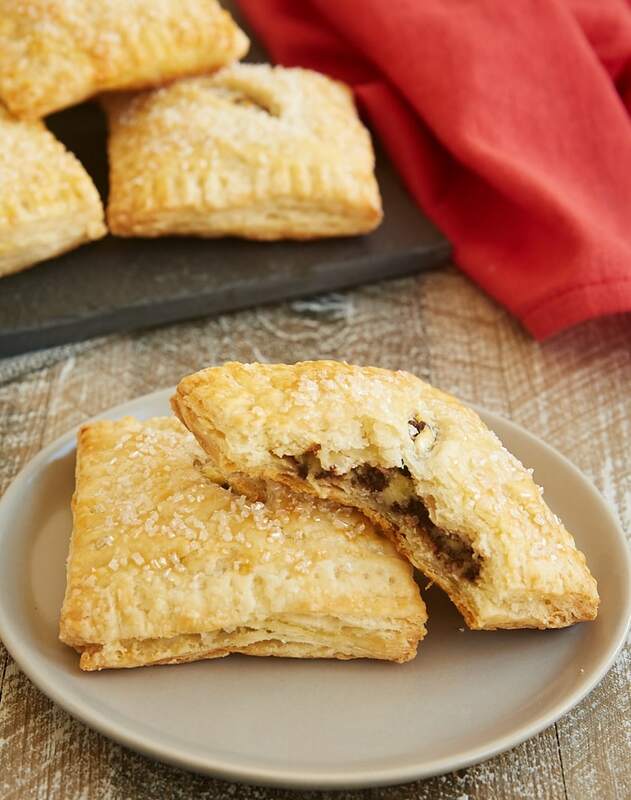 These Chocolate Chip Cream Cheese Hand Pies feature a sweet, chocolate-chip-filled cream cheese filling surrounded by buttery pie crust. Using an electric mixer on medium speed, beat the cream cheese, sugar, egg, and vanilla until thoroughly combined and smooth. 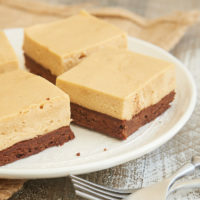 Cut the dough into 3-inch squares. ** Gather and re-roll the dough once, and cut more squares. Combine the egg and water to make an egg wash. Lightly brush the edges of half of the dough squares with the egg wash. 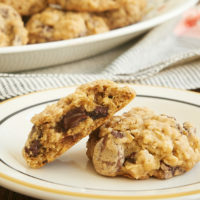 Spread about 1 & 1/2 to 2 tablespoons of the filling onto the half of the dough squares with the egg wash, leaving about a 1/4 inch margin around the edges. Cut a small slit in the center of each of the remaining dough squares. 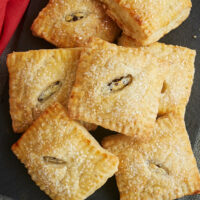 Place on top of the filled dough squares, and press the edges to seal. Use a fork to press the edges together. Brush the tops of each pie with egg wash. (You won’t use all of the egg wash.) Sprinkle with a pinch or two of sanding sugar. Place the pies on the prepared pans, leaving an inch or two between each pie. Bake 20 to 25 minutes, or until the pies are golden brown. Cool on the pan for 10 minutes. Then transfer to a wire rack to cool completely. *The yield will depend on how efficiently you roll and cut the dough. You can gather any remaining dough and re-roll once, but more than that tends not to work as well. **I usually use a sharp knife and a ruler to make the squares. If you have a square cutter, that will work well, too. 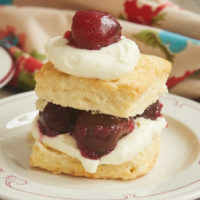 I have this biscuit cutter set, and it has a 3-inch size. A cookie cutter would work, too. 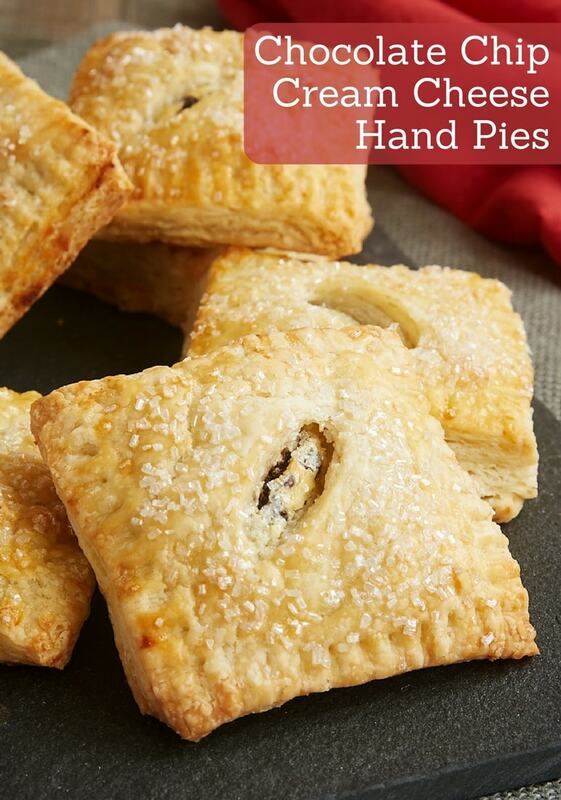 these little pies look so cute and delicious! do you think that i can make ahead and freeze before bake? Hi, Raquel. I’ve not tried freezing these baked or unbaked. I think I’d be hesitant to freeze the unbaked filling. I have made these. Very yummy! Thanks! I’m glad you like them, Tammy! 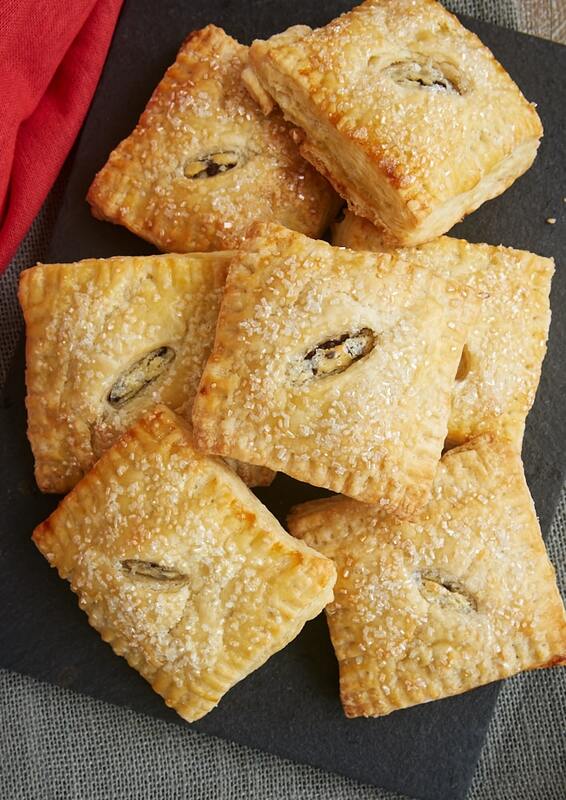 I like these small pies with cream cheese. I promise at the right time I will come back to make them and will order the materials through the link. I am just preoccupied also with transporting stuff until we move out to a bigger apartment. For the filling ingredients for the cream cheese it asked for a large egg. The directions don’t include the egg with the cream cheese filling. Only the cream cheese, sugar snd vanilla are combined. I’m not sure if I’m supposed to add it or no. Hi, Linda. The egg is mixed along with the other filling ingredients. Thanks for pointing out my omission. I’ve updated the recipe.